It may still be warm summer weather where you live, but the second Labor Day is over, I’m craving those Fall vibes! Give me all the pumpkin spice lattes, cozy sweaters and festive candles! 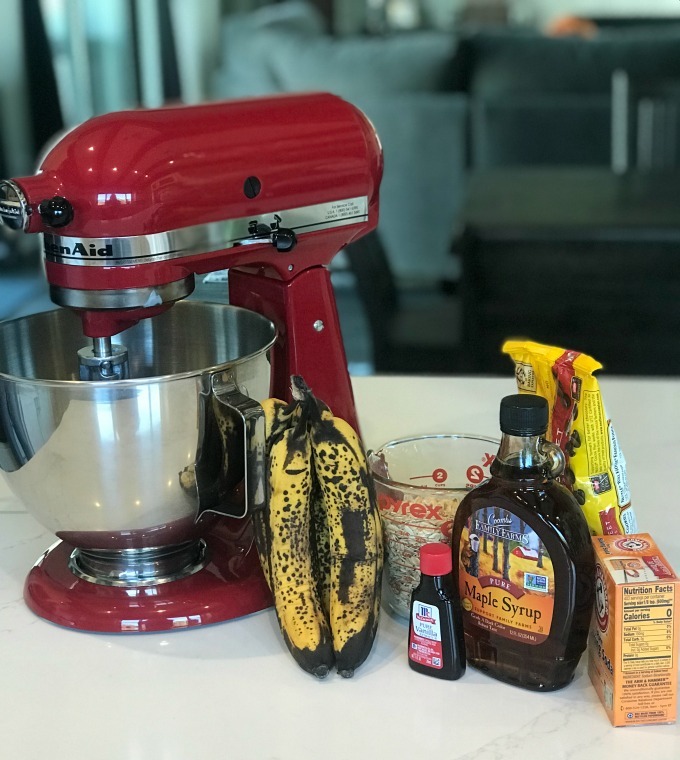 I had some extra ripe bananas just begging to be turned into a loaf of yummy bread. 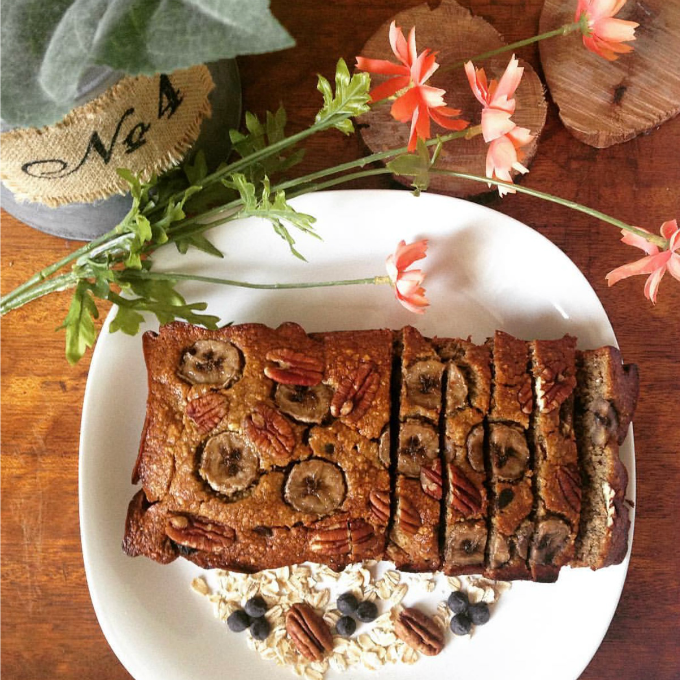 With a few simple ingredients, I whipped up some gluten free Chocolate Chip Banana Oat Bread! It tastes like your favorite oatmeal, with a sweet touch of chocolate and maple, baked up ready to slice and serve to your family and friends. These would also turn out great as muffins, easy to grab and go! I also love freezing any leftovers; it only takes minutes to defrost. Oats and banana are the healthy carbohydrates that provide lasting energy, and of course chocolate chips to make you happy. Get ready for your home to smell amazing! 1. 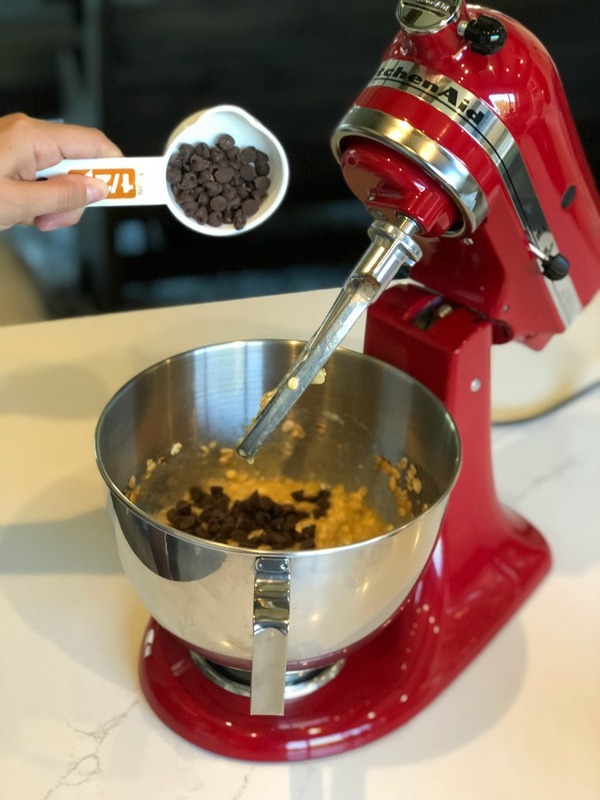 Blend all ingredients in a bowl or stand mixer, until well combined, adding the chocolate chips last. 2. Grease bread pan or muffin tin. 3. Bake at 350 degrees for 20-25 min, until a toothpick comes out clean. 4. Let cool, slice and serve!